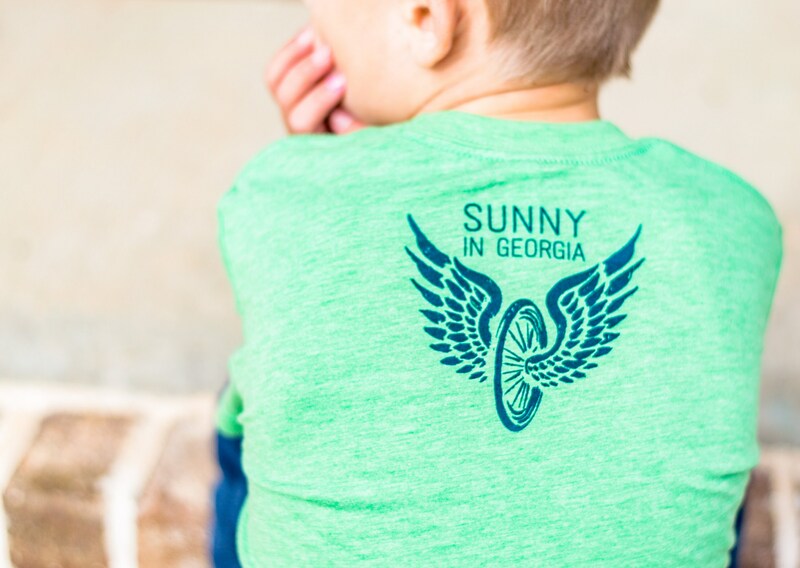 Sunny In Georgia's "Pickin' up Sunshine" super soft tri-blend tee for youth. 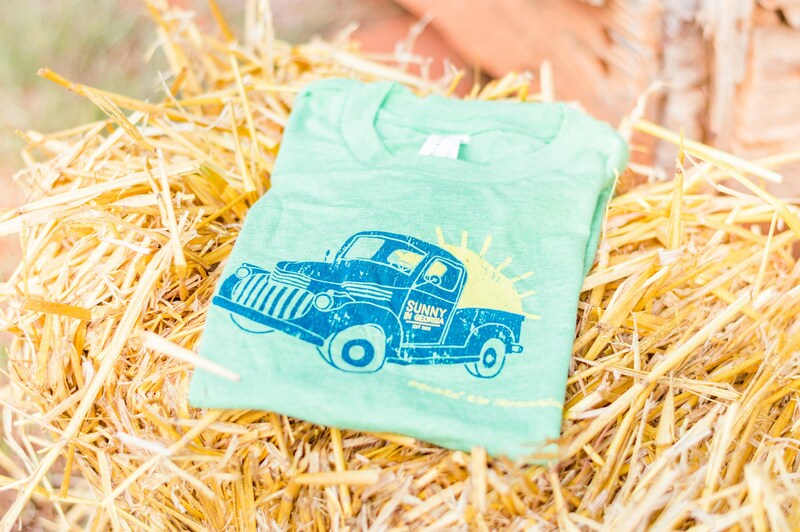 A cool vintage pickup up (based on my pop-pop's '41 Chevy) with some sunshine in the truck bed. 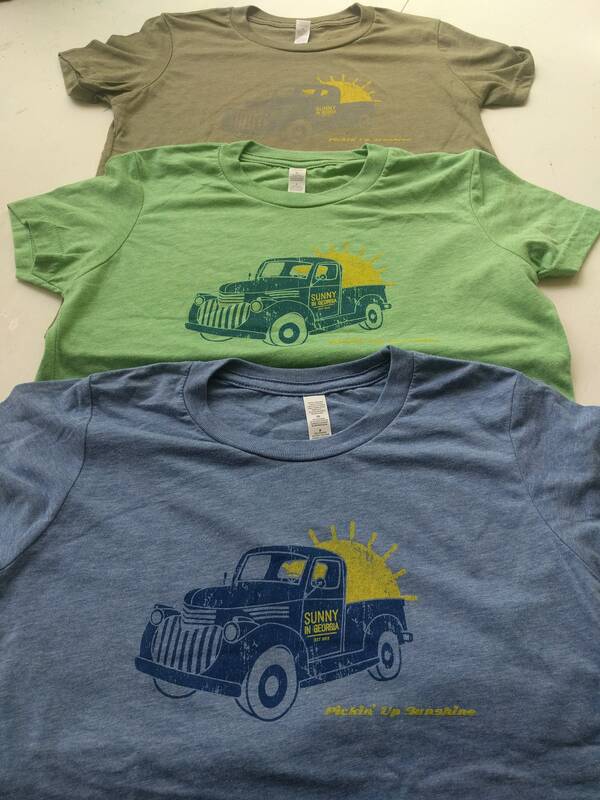 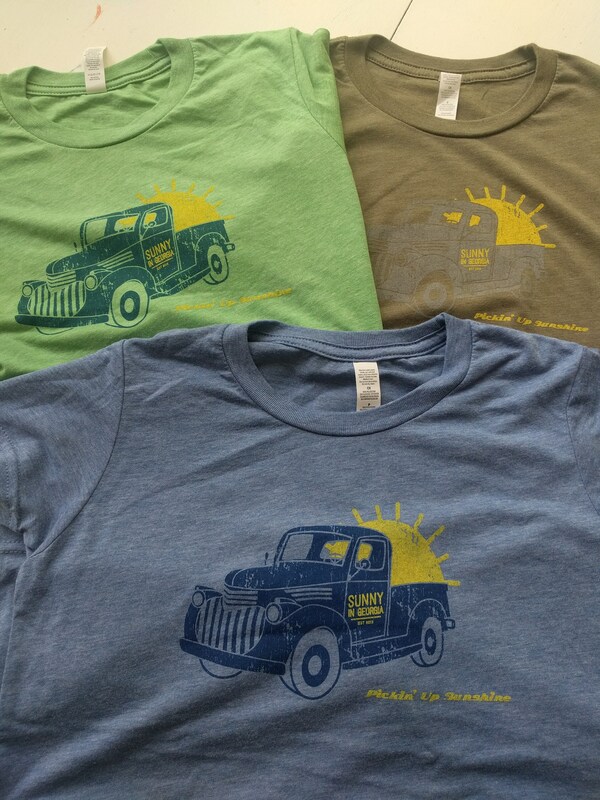 "Pickin' Up Sunshine" printed below, and our flying bicyle wheel logo on the back. 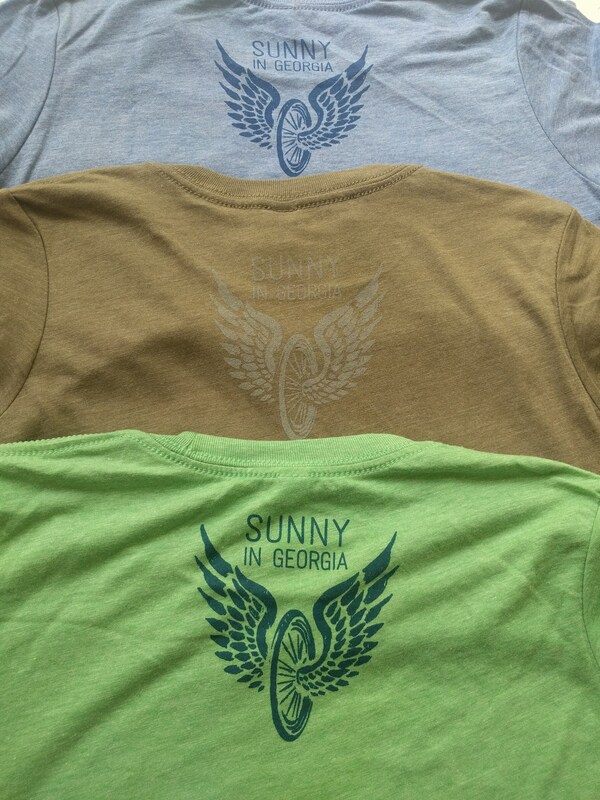 Offered in 3 colors, (Green, Blue or Olive) sure to please any kid!!! 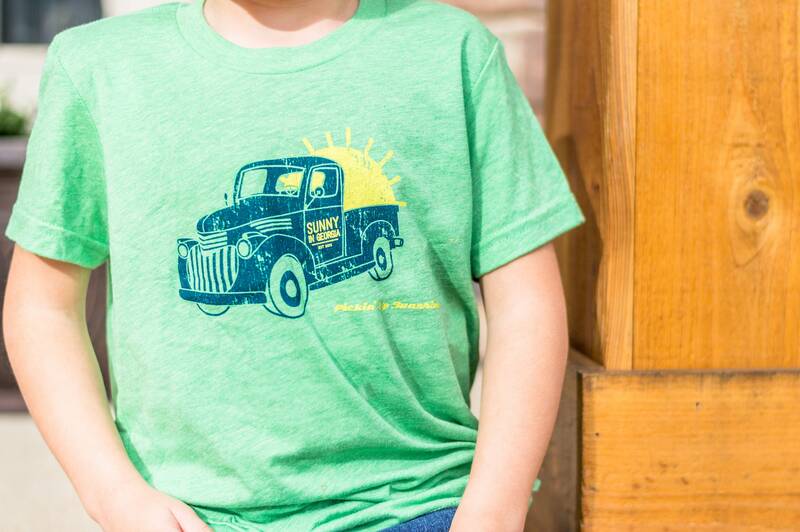 Graphic also available on adult tees!